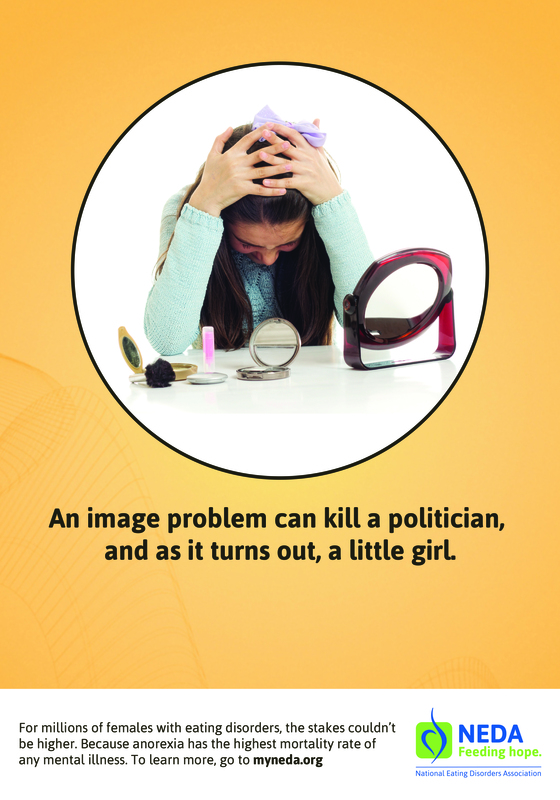 An image problem can kill a politician, and as it turns out, a little girl. For millions of females with eating disorders, the stakes couldn’t be higher. Because anorexia has the highest mortality rate of any mental illness. To learn more, go to myneda.org.